With it being March already, the need for some serious “spring cleaning” has been floating on my mind. Whether it’s for spring or not, getting rid of clutter is an endless project that I do around my home. Clutter around the house is one of those surefire things that makes me feel unsettled. You know…that feeling where you can’t relax because there’s unfinished business to be done in the home. Since I will be working on multiple home-related projects in the next couple of months, I thought I’d “return to the basics” first. Before I can feel comfortable bringing in new home items into my home, I must purge unused and unwanted items first. Fortunately, I’ve gotten pretty good at parting with things in the past couple of years. Let’s face it, most of us do not have what it takes to become “extreme couponers.” While using coupons is a good way to save a buck or two, you need to have some sort of organizational system in order to justify saving that stash of coupons in your drawer or file folder. Do yourself and your home a favor by clipping only the products you use and to discard expired coupons regularly. If you’d like to improve your “couponing” skills, you should check out these helpful tips from wikiHow here. Paper is probably the biggest contributor of clutter in our homes. Keeping up with your mail and throwing out all non-essential notices as soon as you receive them will keep unwanted paper from accumulating in your home. You shouldn’t have to touch the mail twice (decide what action is needed upon reading it the first time). Keeping a trash container or paper shredder near your foyer is a good idea. Even if you purge or donate your child’s toys consistently, you probably still feel as if a lot more needs to be removed. This is why it is critical to purge toys that you know will serve little than an hour’s entertainment for your young ones. You know those toys that come along with your child’s kids’ meal? 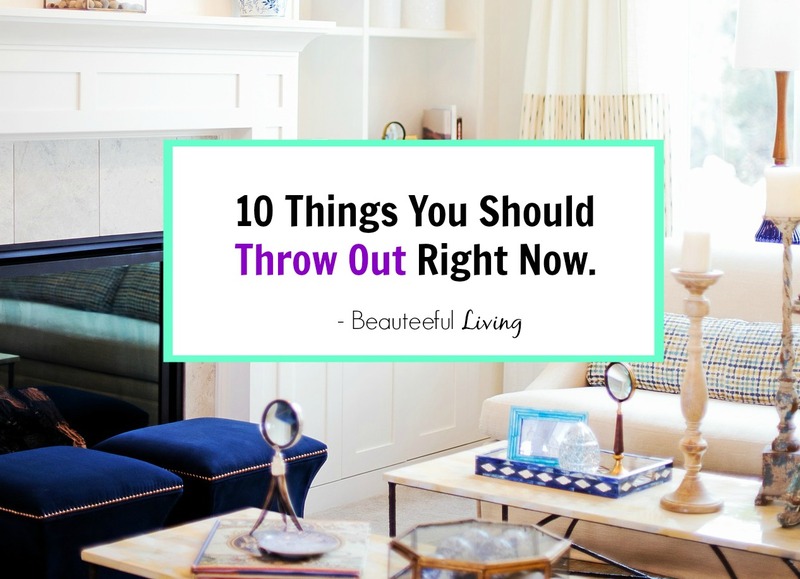 Those are the first items to toss out! Since most households have washers and dryers nowadays, there really is little need to have a large stockpile of linens like bed sheets and bath towels around. It doesn’t help that these items take up so much space in our closets! If you’d like to find ways to recycle your old sheets and towels, check out this helpful post from Apartment Therapy. 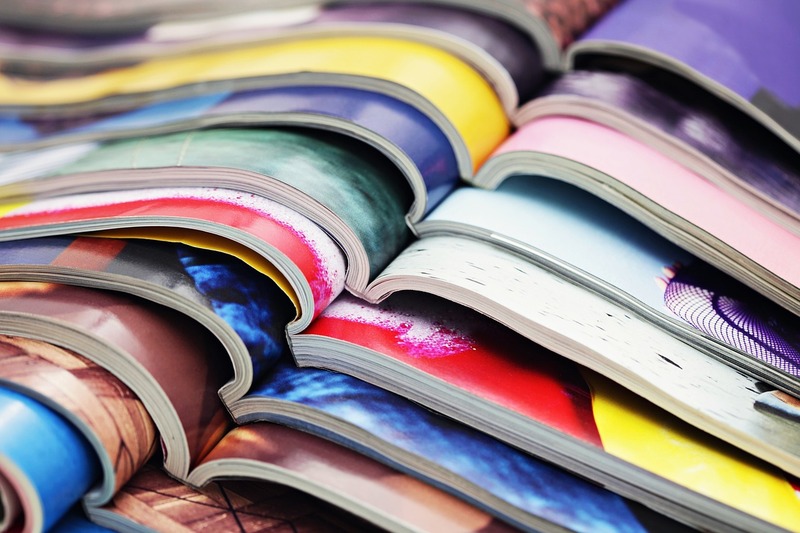 As someone who loves magazines, it is very hard for me to toss out all those glossy print magazines. However, recognizing that I only refer to my old magazines once a year (if that), I have purged the last handful of magazines remaining in my bookshelf. I’m sure I’m not alone when I say that over 50% of the books I have on my bookshelf have not been touched in over 5 years. Aside from cookbooks, I rarely ever refer to the books on my bookshelf. In the past couple of years, our book collection has dwindled down considerably since I’ve made a habit of donating unused books on a yearly basis. If you switch up your decor according to the seasons like me, you likely have accumulated multiple bins of seasonal decor in your home. Before you start decorating for a specific season, you should always pull out the items you have stored away before purchasing new items. If you don’t plan to re-use a certain seasonal item this season, chances are you won’t want to re-use it the following season! Toss or donate any seasonal items that you no longer love. Don’t just leave those items in your bin to store for yet another season. It’s time you gave up on the idea that your missing favorite argyle sock will magically reappear one day. Socks are just one of those things that have a shelf life of only 1 year (basically until one of them turns up missing). Instead of having a drawer full of socks without a pair, you should discard or reuse them in other ways. For ideas you can do with your mismatched socks, check out this article from Business Insider: 62 Things You Could Do With Your Old Mismatched Socks. Like everything else, it is so easy for toiletries to clutter up storage space in our home. The biggest offenders are the freebies that we get from the dentist, pediatrician’s office, and hotels. If you are not careful curtailing your toiletry supply, you are likely looking at 30 plus items that sit under your vanity! Want to read up on tips to conquer your toiletry clutter? Visit From Overwhelmed to Organized Blog’s post here. Found this list helpful? Please Share/PIN this post. Thanks! De-cluttering is a process that I do on an ongoing basis in my home. While people comment that my home is neat, let there be no illusion that I live in a mess-free or clutter-free home. I am human. I have 2 kids who love nothing more than to sprinkle toys in the air. I get junk mail. My kids bring home piles of classwork, notices, and artwork from school. What keeps me sane is identifying ways to keep our living space as clutter-free as possible. 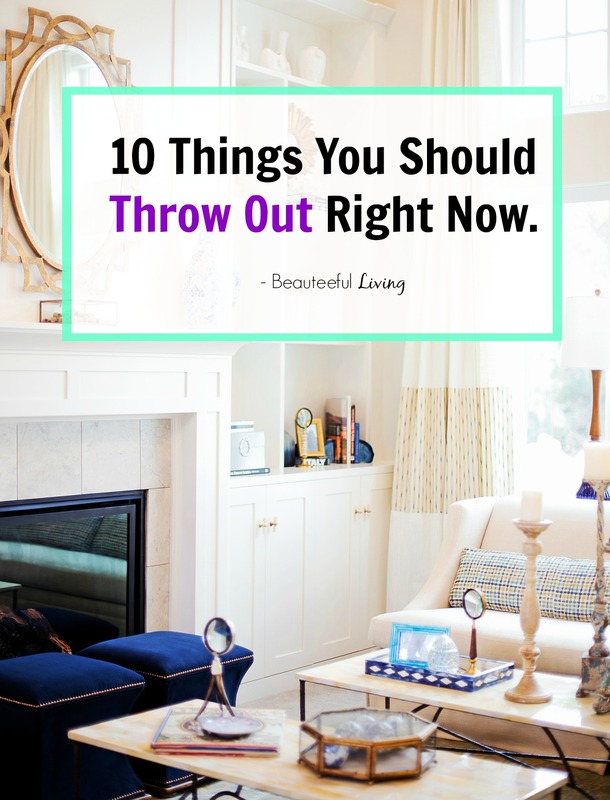 I hope today’s post can provide some inspiration to motivate you to manage some of the things that clutter up your home. Stay tuned for spring-related projects coming up on the blog! Thanks for reading and Happy March! Xoxo, Tee. I’m so guilty of keeping some of these items you listed. I have a bunch of magazines and old socks that dont have a pair and I still have them lying around in the house! I am in LOVE with this list! I tend to ‘hoard’ on junk that I feel like I want to keep for as mementos, but indeed it tends to be too crazy sometimes. I really need to declutter! Thanks to this, I’ll have a clearer way of organizing everything. This is a great post with lots of ideas. I always keep samples and trial sizes for trips and then I never use them! I should just toss them, most of them are probably old anyway! I hate all the papers that come home with the kids everyday, that is a disaster in itself. YES to all of these! I cannot stand clutter and it always builds up so easily. I’m getting ready to do some “purging” here shortly. Thanks for all the ideas! I LOVE this list. I hate clutter as well. I’m pinning! This is so true! I just threw out a bunch of socks that had no matches. After making a few sock puppets for the kids and pairing some that could work together. Also the coupons, I always have the best of intentions and then forget them at home. yes at the McDonald’s toys! LOL. My son hoards them and then I find them underfoot at random times( especially when I’m stumbling around in the dark).I’ve started getting rid of all junk mail as soon as it comes in the house. It’s the only way to keep it under control. It’s usually all those little toys that amount to big piles of clutter. Thanks for sharing with your followers, Lee! OMG I’m rolling on the floor that you mentioned McDonald’s Toys. Because that is 90% of my playroom clutter. The kids always want a kid’s meal anywhere we go and then the cheap toy lies broken in two different places. The other, for our bathroom, is unused toiletries or else half used. These are spot on tips! I’m sharing with my followers. These are all wonderful. I tend to hold on to a couple of these, especially old magazines. I DON’t know why! Thanks for sharing these. I love this list!! I have been focusing on this all year long. Being able to keep the clutter out is much easier when you are able to gut so much of it out at once. Thanks for these reminders. I have so many products sitting in my linen closet. I’ll never have time to use it all before it expires! Hi, Tee! Good ideas! I just went through a drawer in my kitchen and threw out old coupons and a ton of takeout chopsticks. I also recycled a bunch of plastic forks, knives and spoons from fast food restaurants, too! It was great to get my drawer back. When I get rid of items others can use, I like to donate them. I donate books to the local library, and old toys and clothes, etc., to a local thrift shop that funds a food bank. I bet it felt great to clear out that drawer, Lauren! I love donating unused items that others can use too. Thanks for commenting.